We are pleased to announce and welcome Stephen E. Oskin, PE, LEED AP as Director of Mechanical Engineering for the firm. 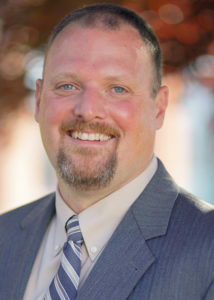 Stephen has over 16 years of experience in the industry and has extensive project experience in education, commercial, healthcare, telecommunications, data center, and technology markets. He is a graduate of the Pennsylvania State University with a Bachelor of Architectural Engineering degree. Stephen is a registered Professional Engineer in Pennsylvania as well as a LEED Accredited Professional with the U.S. Green Building Council. He is a member of the American Society of Heating, Refrigerating and Air-Conditioning Engineers (ASHRAE) and the America Society of Plumbing Engineers (ASPE). Stephen is responsible for the overall direction and technical guidance of the firm’s Mechanical Engineering Department in all three regional offices. In addition, he is responsible for providing quality control within the firm’s healthcare and education divisions and ensuring technical accuracy for mechanical system design. He is working out of our State College Office.